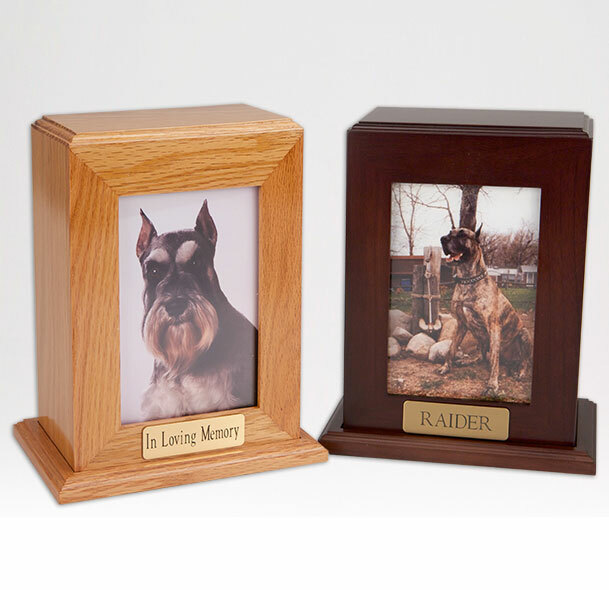 Our Framed Photo Urn is designed for pet owners who wish to display their favorite 4″ x 6″, ‘Vertical’ photographs. 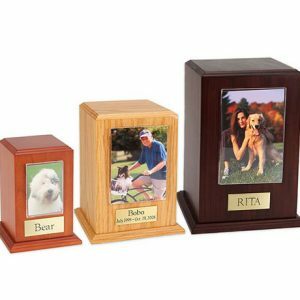 This urn style is beautifully crafted from Red Oak or Walnut hardwoods creating a truly lasting memorial to your fallen friend. 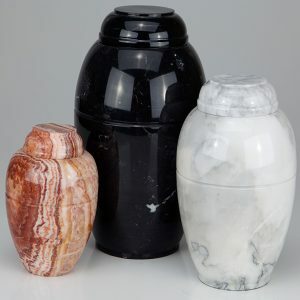 Each urn style comes with an acrylic window which slides out of the bottom of each ‘opened’ urn for easy installation of your favorite photo. 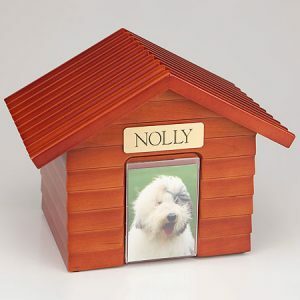 It also includes Free engraved brass name plate. 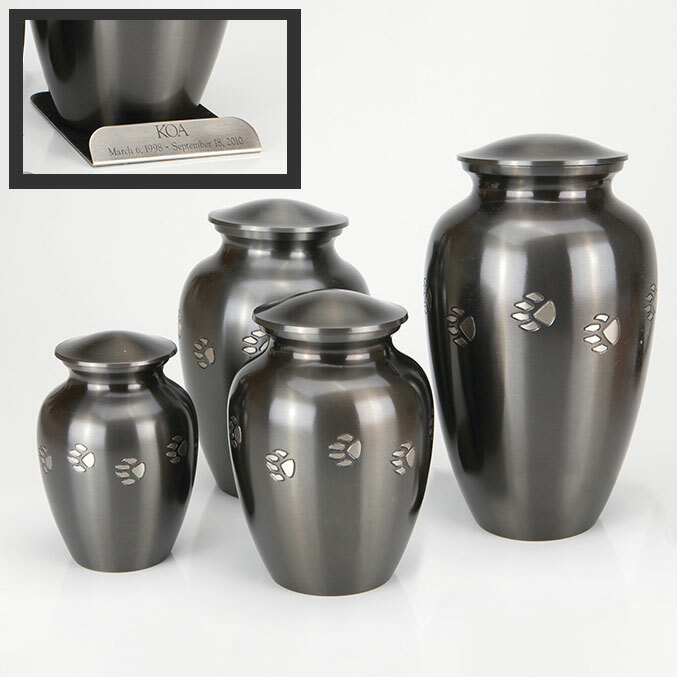 The brass nameplate is added to create a truly personal memorial.